All you ever wanted to know about lice courtesy of the CDC. Lying on a bed, couch, pillow, or carpet that has recently been in contact with an infested person. 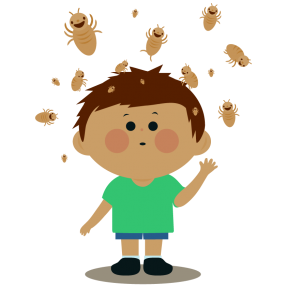 Treatment for head lice is recommended for persons diagnosed with an active infestation. All household members and other close contacts should be checked; those persons with evidence of an active infestation should be treated. Some experts believe prophylactic treatment is prudent for persons who share the same bed with actively-infested individuals. All infested persons (household members and close contacts) and their bed mates should be treated at the same time.